Amoxicillin is available on prescription for more than one type of consultation. The Online Clinic can prescribe antibiotics such as Amoxicillin (Amoxil®) online for certain conditions. To start the process to get Amoxicillin, please click on the free consultation button. Amoxicillin is a type of penicillin antibiotic available in capsule or liquid form and is used to treat a wide range of bacterial infections. Please note that The Online Clinic does not prescribe any of the liquid formulations. Amoxicillin is also available under many brand names including Amoxil®. You should not take antibiotics if you have a common cold or flu as they will have no impact on these viral illnesses. Amoxicillin works by preventing the growth of bacteria. Specifically, Amoxicillin acts by blocking bacteria from forming cell walls. Although Amoxicillin is a broad-spectrum antibiotic, it will not work against all infections. How is Amoxicillin used to treat dental abscesses and cystitis? A dental abscess is a collection of pus in the tissues within the teeth and gums, and cystitis is technically a bladder inflammation, but the term is also used to cover urinary tract infections. Treatment for either of the conditions varies depending on the severity of the infection and whether it is for adults or children. Dosages and quantities are clinical decisions. 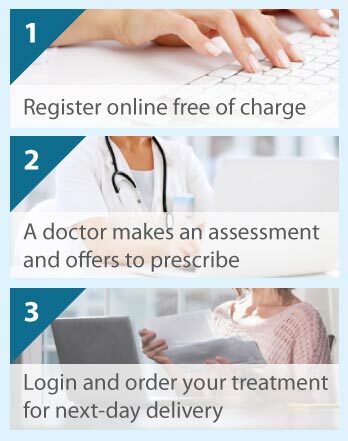 Our doctor will decide what is appropriate after you have completed the online medical form. What else is Amoxicillin used to treat? Amoxicillin is also used to treat bacterial infections such as bronchitis, pneumonia, and infections of the ear, nose and throat. Are there any side effects of Amoxicillin? The most common side effects are diarrhoea, nausea and skin rash. Less frequent side effects include itching, urticaria and vomiting. Most people will not get any side effects whatsoever and for most people it is a well-tolerated medication. If you are allergic to penicillin or have kidney or liver problems, then you should avoid using Amoxicillin. Please make our doctor aware of any allergies or other important medical details on our consultation form.